Most Americans might be feeling a seismic vibration ripping through our institutions and civic fabric, writes Rabbi Will Berkovitz. Now is not the time to hide but to step toward each other and build society. As CEO of Jewish Family Service, I run a social-service agency that serves some of the most vulnerable people in our region. I spend many days traversing Seattle’s socio-economic ladder and talking with people across the political spectrum. At every corner people are feeling a seismic vibration rippling through our institutions and our civic fabric. 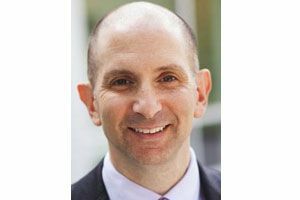 Rabbi Will Berkovitz is chief executive officer of Jewish Family Service of Seattle. Our political institutions are being undermined and are increasingly dysfunctional. Our media are being disregarded as facts are viewed as a nuisance to ignore. Our nonprofits are being stressed as more people turn to them, and yet, government and other foundational resources are shrinking or being cut altogether. But this is not a time to hide under a desk until the shaking stops. Commenting on the state of the world, my young son asked, “Why does my generation have to be your cleanup crew?” He is right. It is on us to put down our torches and pitchforks and pick up our shovels and brooms. We helped make this mess, and now we have to get to work cleaning it up. This is our community, our country, our challenge and our opportunity. As we move through these uncharted waters we must realize we are on the same river and in the same boat. And that boat is heading toward a very perilous stretch of white water, and we had better start rowing in the same direction. We need to restore trust and confidence in one another and our institutions. We need to reorient around values like communal service, integrity and learning. While we need to understand and own our unique histories and stories, we also have to recognize we are part of a much larger communal narrative. That larger narrative, while complicated and messy, is the foundation our society’s institutions are built upon: the belief that there is a greater “we” to support, trust and be part of. And the bedrock is the large and small relationships that give us faith and belief in the collective “we,” and in one another. Let’s start locally, with the people around us. We are at a defining moment that calls us to turn toward each other and not away. Let’s strive to open our doors and not lock them. Not close our shades, but open our windows. As individuals and as a community, let’s commit to actively work against the forces that strive to turn everyone who doesn’t look like us, sound like us or think like us into some nameless and faceless “other.” Let’s acknowledge our anxieties, our fears and our anger without becoming imprisoned by them. Now is the time to reinforce the bedrock so it doesn’t become further destabilized. This is the moment to strengthen our relationships and actively build new ones — as individuals and as communities. It may be safer to be cynical, but we need to do better than that. We must do better than that. We need to be resolved to add value to our community. We need to start listening and getting to know each other again. We need to serve, where service is needed, to ally when an alliance is needed and to actively participate in building the society we want to leave behind. Even during these darkest days of the year, a sliver of light can illuminate a path forward.